Much of the Mayan religion is not clearly understood today because of its complexity and rich pantheon of deities. 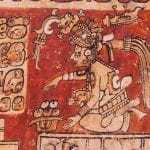 Scholars have been able to decipher some of the major elements of Mayan religion, but other elements may never be known. To the Mayans, the world was flat with four strong gods at each of the corners representing the cardinal directions. Above the earth was heaven with its 13 layers, each represented by a god. Below was Xibalba or the underworld, a cold, unhappy place divided into nine layers, each with its own Death Lord. When a Mayan died of natural causes, his spirit went to the underworld where it had to work its way up through the layers to get to the supreme heaven. Women who died in childbirth, those who died as a sacrifice and sacrificial victims of the ball court went to the supreme heaven immediately after death. 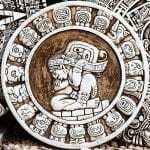 The Mayans were animists in their beliefs, that is, they believed that everything was imbued with a spiritual essence or force, including inanimate objects such as rocks and water. These spiritual essences were to be honored and recognized. The gods were the supreme spiritual forces, but even the spiritual essence of a tree or a frog deserved respect. Every Mayan had a spiritual guide, a Wayob that could appear as an animal or in a dream in order to help that person through life. Thus, to the Mayans, the entire world they lived in was filled with spiritual forces. At times, the spirits required appeasement; at other times, they could be helpful. The Mayan idea of time was cyclical, cycles of creation and destruction, of seasons, of rituals and events, of life and death. When Mayans died, it was believed they had moved on, not ended forever. 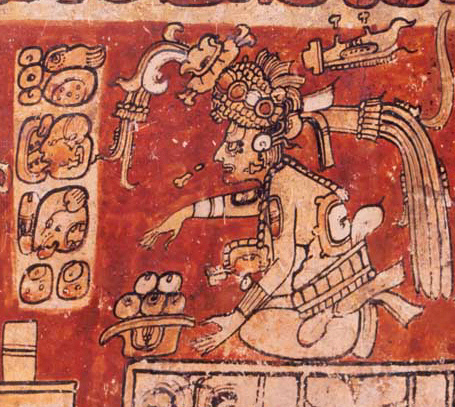 Maize was of such central importance to the Mayans that the life-cycle of the maize plant is at the heart of their religion as is the Maize God himself. All of Mayan life was intimately bound up in cycles, which tied in to the centrality of the Mayan calendars. Mayan priests closely tracked all the cycles important to Mayan life. Priests kept the calendars, the solar cycle calendar with its 365 days, the sacred calendar of 260 days and the Long Count Calendar. They also interpreted the cycles, looking for clues to the future and prophetic inspiration. Priests determined the days propitious for religious rituals and ceremonies. The priests who kept track of cycles and calendars were expert mathematicians and astronomers. Planet cycles were tracked in order to recognize patterns, which they then relayed to the king of the city. 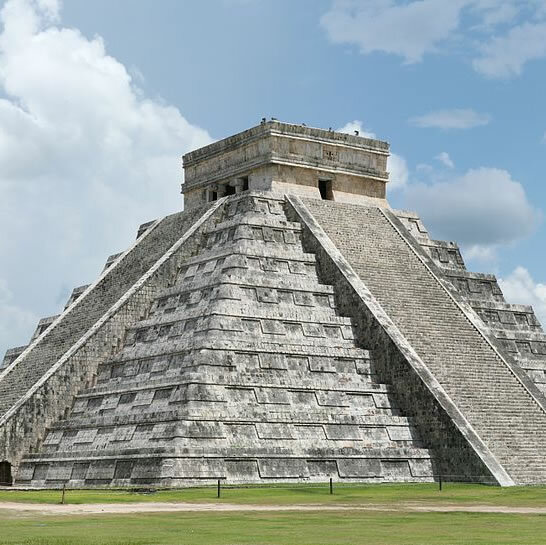 Mayans believed that the gods imparted meaning to celestial patterns from which their priests could foretell the future.